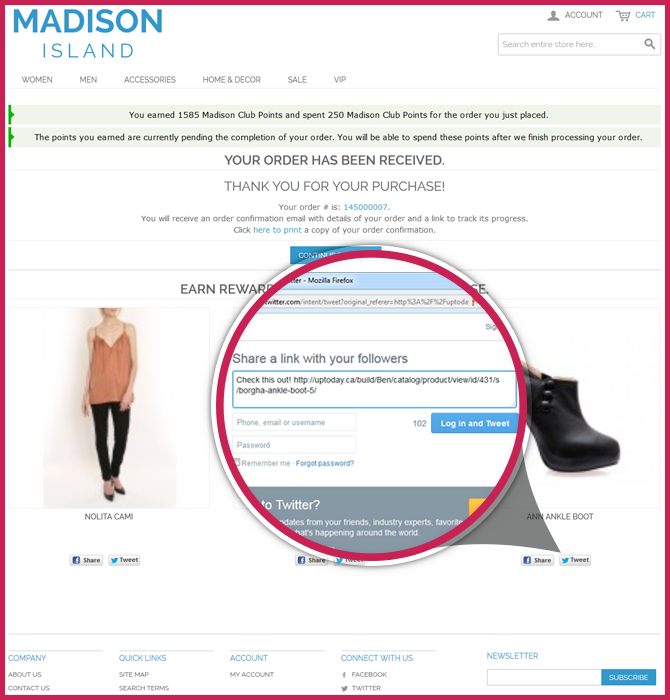 Social sharing of purchases on the frontend occurs after an order has been placed and your customer has reached the confirmation order page. The social share doesn’t allow sharing of the entire order only the individual product that was purchased, and the share is triggered by clicking the share buttons beneath that product. 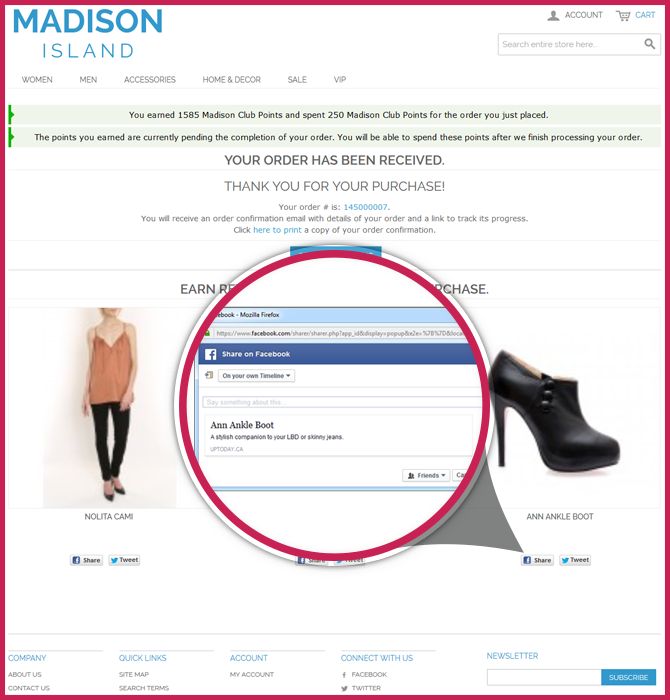 Your customer is able to share the purchased product using Facebook. Sharing their purchased product via Twitter is also available. If your customer tries to share using Facebook or Twitter, more than the limit allowed through the configuration, they can do so but they won’t be rewarded for those shares.